Guyana Independence Carnival 2019 is right around the corner and gyms and fitness centres countrywide are filled with individuals (including myself) looking to get a tighter physique and to get primed for the many pool parties, J’ouvert celebrations and the street parade. Your overall health follows cycles and you can take control of those cycles. In Guyana we consume a lot of flour mostly in the forms of bread and roti. Nature’s sports drink or simply coconut water is a nutritious potassium-rich drink that can fit into a balanced diet as a low-sugar alternative to sports drinks for hydration. According to one survey, 38% of adults eat unhealthy foods or overeat during periods of stress. One of the most commonly spread myths is that carbs are the enemy. Have you heard a lot about the ‘Afterburner Effect’ lately? What exactly is it? The New Year has come and gone. Did you make a New Year’s resolution? The calendar has flipped to February, so right around the corner there is Mashramani in Guyana, the Trinidad Carnival or any special event that you have to attend. Often, we come across countless types of dieting protocols and testimonials of how these approaches work and each one of these diets seems to be better than the next. Congratulations! If you’re reading this then you’ve made it to 2019 and that’s something to be proud of. Without question, some of you readers will have decided that sometime in 2019 you will start taking more control of your health and fitness by eating healthier and incorporating some form of exercise regimen. Merry Christmas to all readers! I admit that this is the time to eat drink and be merry, however it is not the time to binge and potentially destroy the fitness gains you made during 2018. The Christmas season is here and with it comes presents, pepperpot, black cake and the common cold. Good morning! Ever noticed that when you sleep well and wake up feeling rested, your day seems to go more smoothly? Tired of paying $1,000 or more for a protein shake at the gym? Using the same weights or machines all of the time can become monotonous. Sometimes that scale just will not budge, despite what you would rightfully consider a herculean effort. In the last week’s column, I wrote about some effective ways to kick bad eating habits to the curb while stating some strategies that can be utilized to help with changing habit. As a Certified Personal Trainer and Sports Nutritionist, I naturally get a lot of questions based on nutrition and exercise. Is cardio the fat-burning champ or is strength training the way to go? 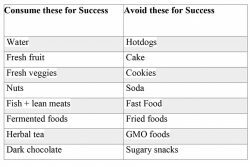 If you want to lose fat, your first consideration should be your nutrition. As a personal trainer, I spend quite a lot of my time in gyms. Looking to add some mass? I get told a lot that my writing is hugely based on weight loss. Most people are aware of the physical benefits of exercise and are also possibly aware of the health-related benefits that reduce the risk of chronic conditions. Most people do not have trouble getting started working out. You start off psyched, enthusiastic, and ready to go, buy the products, sign up to the plan and are ready to makeover your life. Anyone pursuing a ‘goal physique’ faces the same enemy: gnawing, remorseless hunger. There is nothing wrong with experiencing occasional bouts of hunger throughout the day, especially just before mealtimes or after a calorie-crushing workout. The Caribbean Premier League (CPL) dubbed the biggest party in sport is taking the Caribbean and the 592 by storm and some of the biggest alcoholic beverage companies in the region have partnered with the Amazon Warriors and other franchises. Everyone wants to get rid of fat and there are varied opinions about how best to achieve that goal. If you are someone who works out but imbibes habitually or even just now and then, keep reading. This week, in keeping with the weight loss theme I have been addressing, I will discuss flexible dieting and protein shakes. 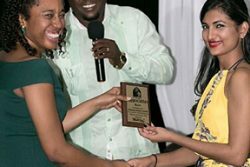 The executive committee of the Guyana Chess Federation (GCF), led by its President James Bond, created an exquisite show for its fundraising dinner three Saturday evenings ago at the Promenade Gardens. This week, I am deviating from the health and fitness tips to put the spotlight on the fitness success story of Chandini Khan who went from chubby to fit and fabulous. This week we will take a look at some foods which will fuel your workouts and along with the exercises, aid in your toning efforts for that ‘summer’ body. ‘Summer’ or the July/August holidays as we know it is here. It’s that time of year where there are more pool, creek and beach parties. Cholesterol and heart disease: Are eggs the bad guys? Today we’re going to talk about a staple in the kitchen: eggs. Now we all know that eating a lot of protein is a must to grow muscle and eating eggs is an easy way to feed your gains. The May/June rains are here and with them come the common cold, the flu and flu-like symptoms. The market is saturated with so called fat-loss products claiming to take weight off fast. Burning fat is a 24/7 activity – or it should be. A lot of people only think about fat burning during their workouts, but the truth is you can do a lot to maximize it at other times too. If you’ve tried every diet, workout routine, and fat-fighting fad and still have stubborn jiggle that just doesn’t seem to budge, you’re not alone. Have you repeatedly tried to lose weight and eat better, only to find yourself falling off the wagon? In last week’s edition, I discussed four weight loss habits that could be sabotaging your weight loss goals. You try again and again to lose a few unwanted pounds, but all to no avail.